Well, we’ve come full circle. 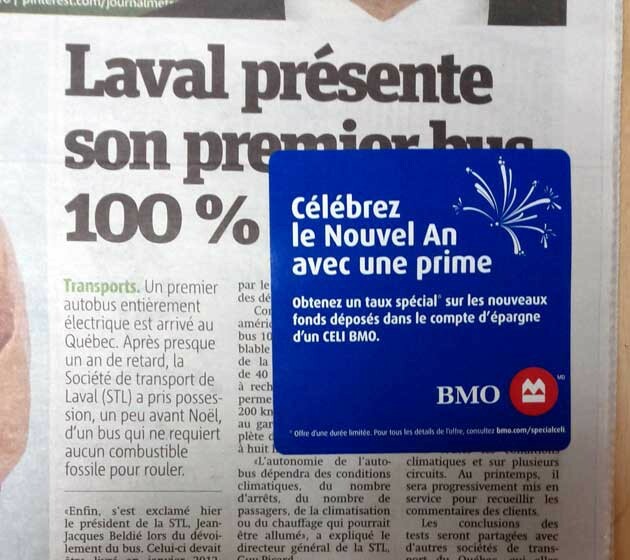 This morning, I took a Journal métro (while exiting the Métro) to discover that an enterprising marketing guy had stuck a popup on my print media. I’m a fan of print media. I prefer to read Le Monde Diplomatique or Monocle in their print forms (even considering tablets). I also think that traditional media can learn from new media. But, seriously, let popups and popovers die already. Originally published at michaelsanford.com on January 15, 2013. Software Developer. Polyglot linguist automath. INTJ.